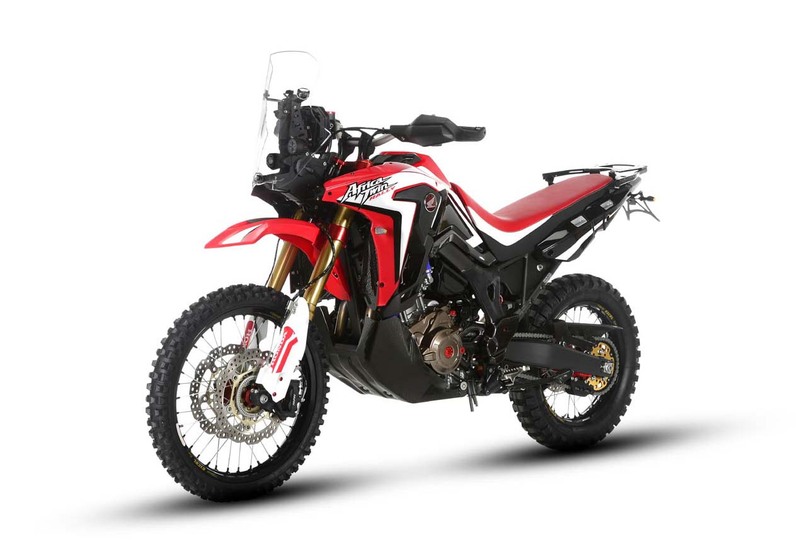 When it comes to adventure-tourers that can actually go off-road, the Honda Africa Twin easily rises to the top of the list. 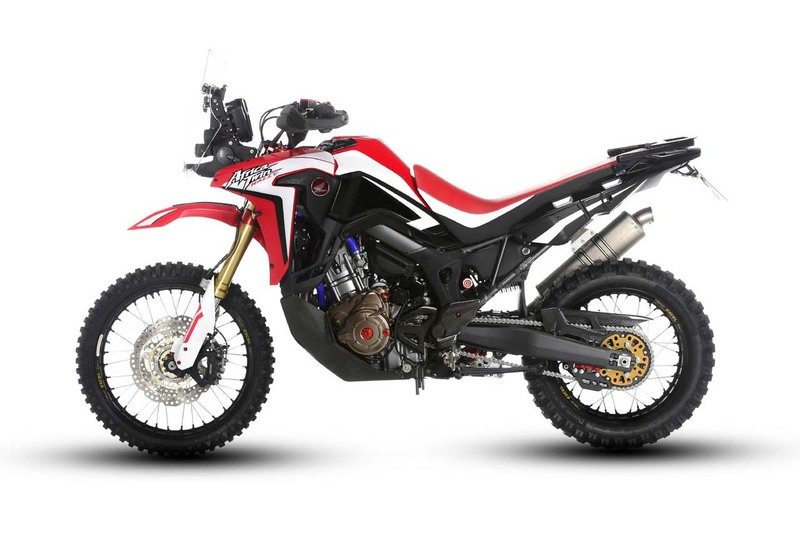 Couple that to Honda’s pursuits in the Dakar Rally and other rally raid events, and its easy to see where the Honda Africa Twin Rally could be born. 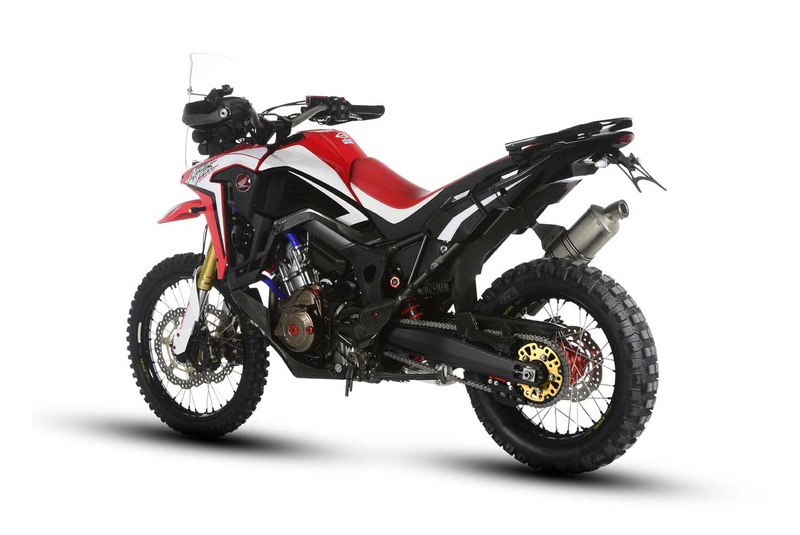 A special model being built by Italy’s Honda importer that was unveiled at this year’s Motodays show, the Africa Twin Rally won’t be hitting other markets any time soon (read: never), though it shows a machine that many ADV riders have been clamoring for, since the first shots of the Honda CRF450 Rally hit the internet. 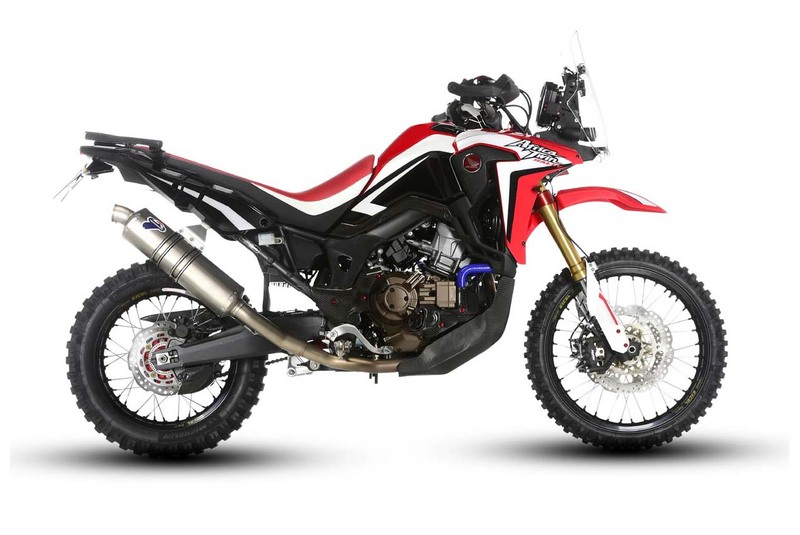 The Honda Africa Twin Rally loses roughly 15 pounds over its OEM predecessor, mostly by using carbon fiber and a minimalist LED headlight assembly. 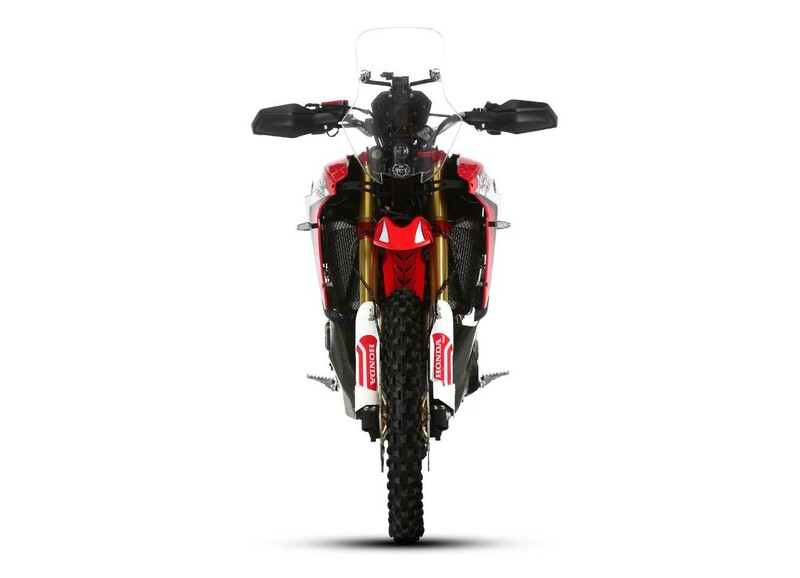 Yes, a roadbook is an optional accessory, for when you find yourself in the middle of The Dakar. Other tasty bits include billet aluminum triple clamps, crash guards, and skid plate. Stainless steel brake lines have been added as well, along with a more robust radiator and fan guards. 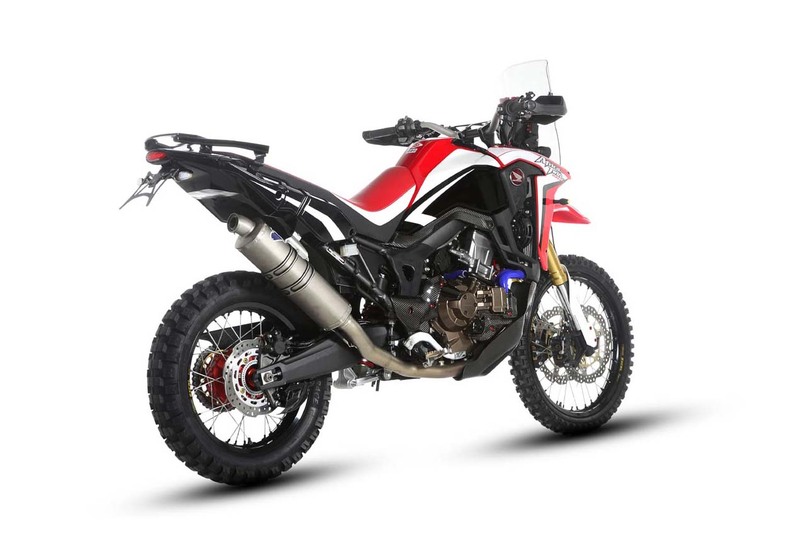 Lastly, the exhaust is from Termignoni (with dB killers inserted), and the bike remains homologated for Euro4. 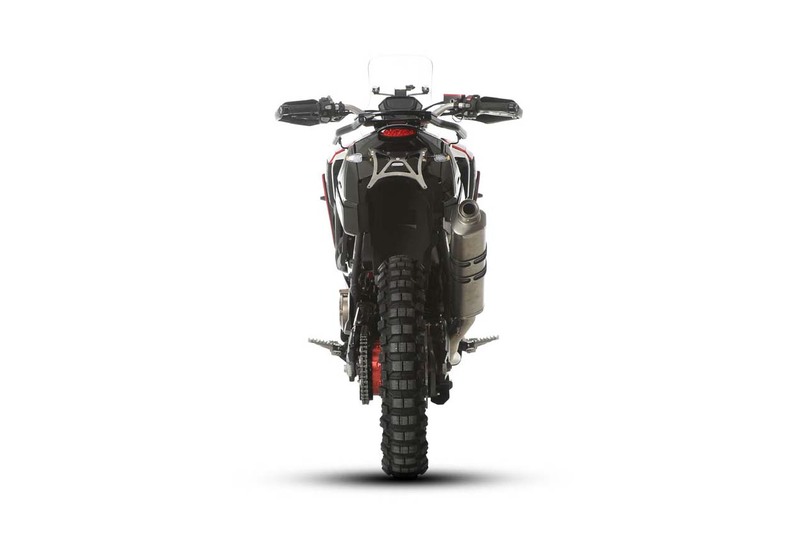 Pricing is a bit tough though, as the Honda Africa Twin Rally will cost you €21,490 for the base model, and €22,640 for the model equipped with Honda’s dual-clutch transmission.